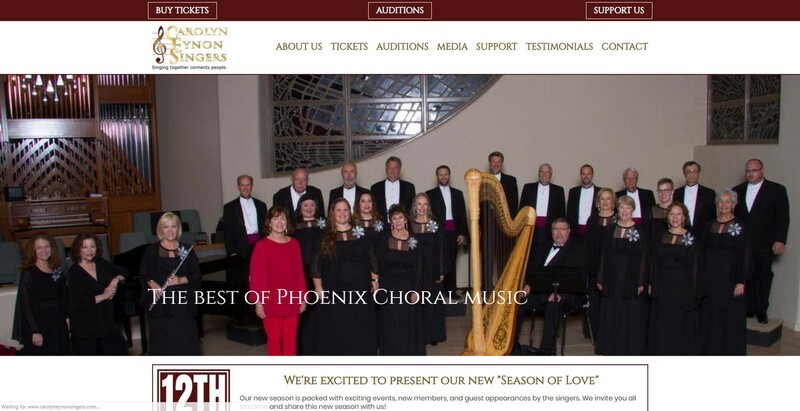 Based out of Scottsdale, AZ, the Carolyn Eynon Signers were referred to us by our computer tech who used to sing with them. The existing site we took over was dated and lacked good flow throughout the site. We overhauled it, tidying up navigation and the overall look. This year we upgraded the site to a dedicated events calendar which sold tickets, eliminating the need to make buttons in PayPal (how it had been up till this time) with all the gymnastics that required for multiple pricing, etc. Now the chorus has a clean, fresh look with a slick tickets sales portal.